Tomorrow is World Labyrinth Day! Here is how you can participate: Wake up nice and early to take full advantage of the day. Pick one thing on your long list of projects you want to accomplish on Saturday and tackle it with gusto, bright and early. Your early start will afford you plenty of time to finish and clean up so you can take the afternoon off. The drive to Wintervale Ranch from most of the Twin Cities area is around an hour. 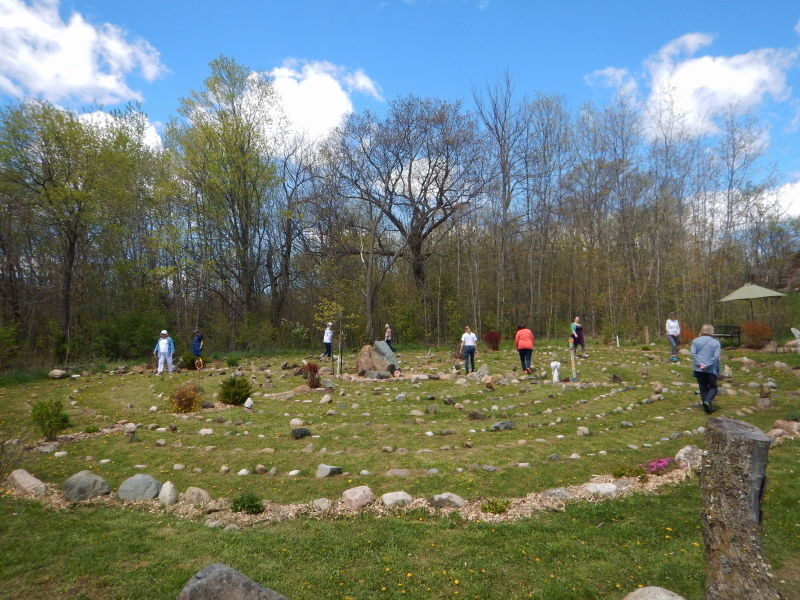 If you leave about 11:00, you can arrive in plenty of time for the 1 p.m. peace walk in our beautiful Rowcliffe Forest Garden labyrinth on a day that could reach 80°(F). In honor of the “Walk as One at 1,” we are holding an open house from Noon to 3 p.m., offering light refreshments, full tours of our trails through the woods, and especially, visits with our horses and chickens. We hope you will fit this awesome opportunity into your Saturday goals to be accomplished this weekend. Just contact Cyndie (cyndie@wintervaleranch.com) to let us know you are coming and she can offer direction details if you need. It will help us to plan accordingly. Where else can you find so much excitement and peace all at the same time?